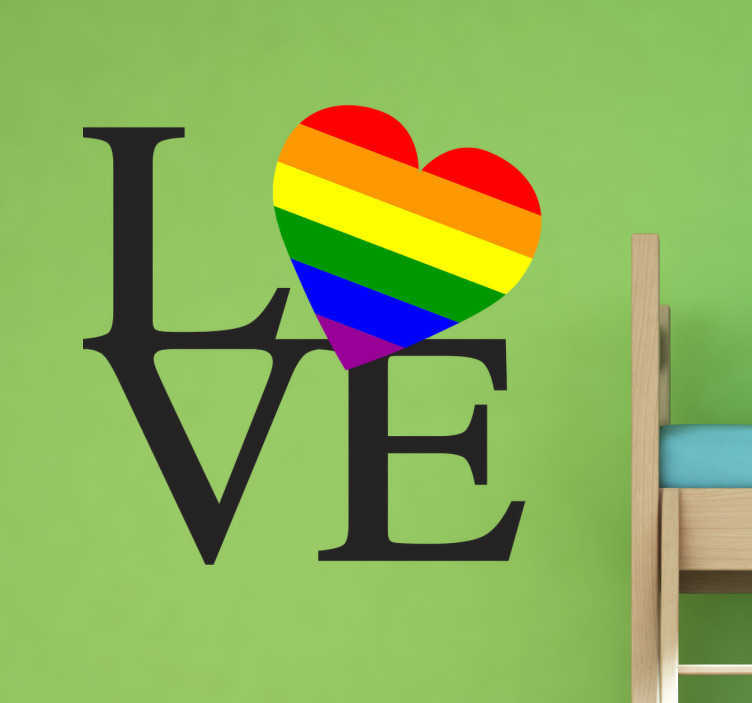 Show your support for the LGBT community with this wall sticker. The text sticker sends a powerful message that love is love no matter the gender of the couple. This wall decoration spells out the word "love" while the letter "o" is replaced with a love heart. The love heart is filled in with the rainbow colours associated with the LGBT community. This sticker is available in a wide variety of sizes.